Starting of the metro mode of transport on 24 December 2002 has been the biggest boon for the Delhiites. In my memory and opinion, there is nothing more powerful and impactful in this millennium that has positively touched lives of common public than the starting of the Delhi Metro service. We gather that the project was first considered decades back but due to reasons better known to the politicians of the day, it never took off and did not see the light of the day back then. At this juncture, some of us as well as the older generation had begun losing hope of ever being lucky to ride a metro train service in Delhi in our lifetime just like in other mega cities of the world including London, New York and Singapore. Then as if by some divine intervention and good foresight of our politicians, our wait came to an end and consequently, the work on the Delhi metro started in late 1990s and first metro line got operational in 2002. Since then it has been more than seventeen years that we have been utilising its services in Delhi. Starting with a single corridor route, the Delhi metro has today expanded to many more corridors that has redefined the way we travel. The Delhi Metro has brought even the far flung areas closer to the heart of Delhi. All thanks to it that a common person can now actually travel in style, faster safer and in cost effective manner. We often read in the newspapers about rising number of vehicles on the city roads that busts all charts hitting the roof. Consequently, the average speed of movement of road traffic has drastically reduced and the average time it takes to travel even a small distance within the city has increased inordinately. Don’t we often rue about spending hours driving on the roads thus wasting our precious time as well as denting our health to no end. The time we spend driving could have been invested in some productive activity like salubrious morning walks that could have boosted our health or indulging in a hobby. The ride on the road proves tiring and debilitating, particularly for those travelling in their personal vehicles such as two and four wheelers. In this scenario, the metro service has come like an angel offering much needed relief, saving time and effort coupled with an elevated degree of convenience and comfort. Another noteworthy feature is that the cost of travel has greatly reduced thus making it financially prudent for anyone opting for metro rather than using his or her personal mobility mode. It has now become quite easy as well as convenient to give up our cars and bikes. So, those who still use their personal vehicles and tender flimsy reasons for not giving them up; do this out of their stubbornness, unwillingness to give up their love for cars and bikes and insensitivity towards the environment. By doing so, they endanger their own lives as well as compromise the health of everyone else. You would agree with me that other modes of mass travel like government and private buses, were never adequate, safe, secured, convenient or comfortable. There were frequent incidents of thefts, indecent behaviour towards women commuters, breakdowns or failure of service, bad operational frequency that marred public transport in the past. Don’t you remember that one had to wait for hours before a particular bus on the sought-out route showed up at the bus stop? Hence it was highly challenging for majority of commuters especially women, children and the elderly to use the then available modes of transport. 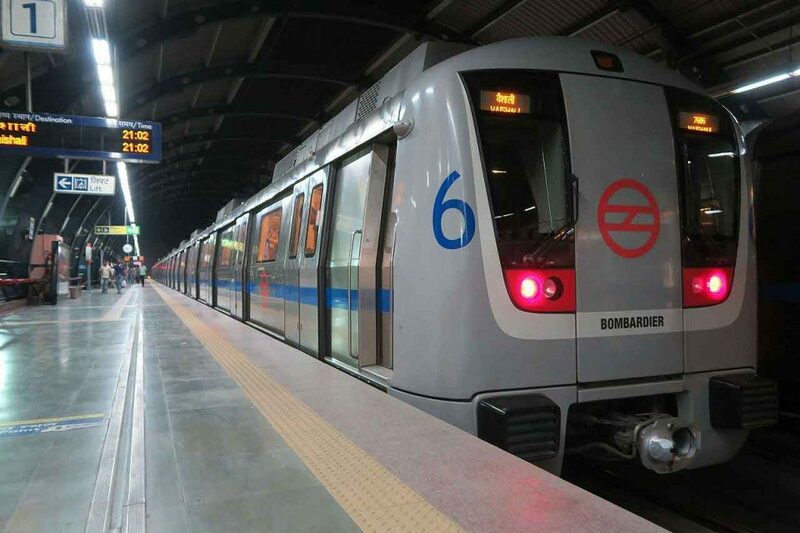 But with the coming of the Delhi metro majority of the above-mentioned ills have almost vanished and all classes of commuters feel equally safe, secured and comfortable while travelling. Even the last mile connectivity has received a boost with start of gramin sewa, small busses, battery and auto rickshaws at the metro stations. 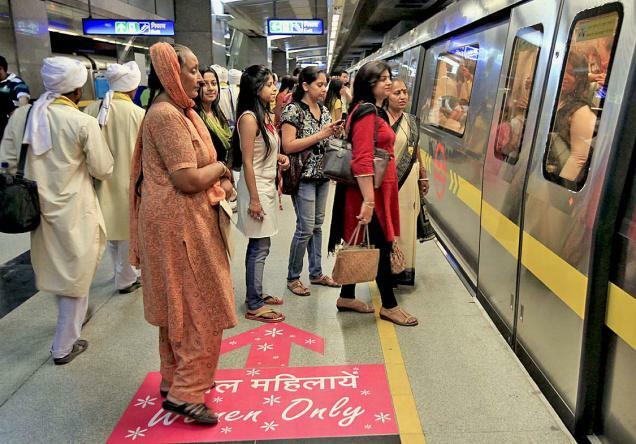 Women can be seen commuting by the metro freely without any kind of fear even late at night. Not only this, women can be seen travelling frequently along with their children without inhibition or restriction. All this has been possible because metro is perceived as a safe mode of transport by them and the metro does everything to preserve their safety. Up till now, the seniors had been at the mercy of their escorts, largely their children, for their travel needs but now they too are reaping the benefits of travelling by the metro on their own. 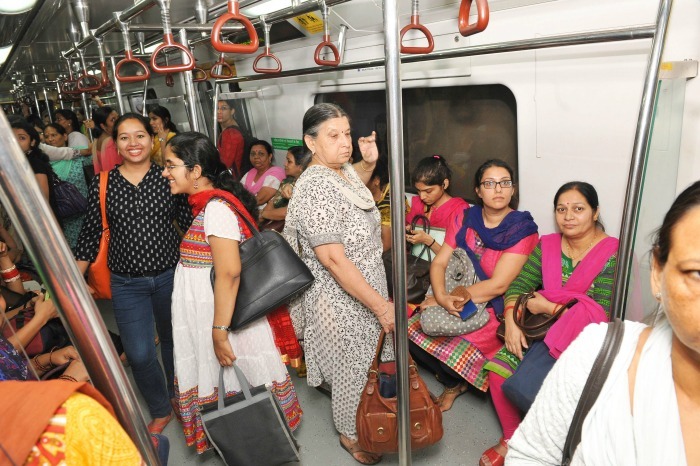 The metro also makes special arrangements like providing a wheelchair with an attendant for the differently abled persons who now use the metro in greater numbers. 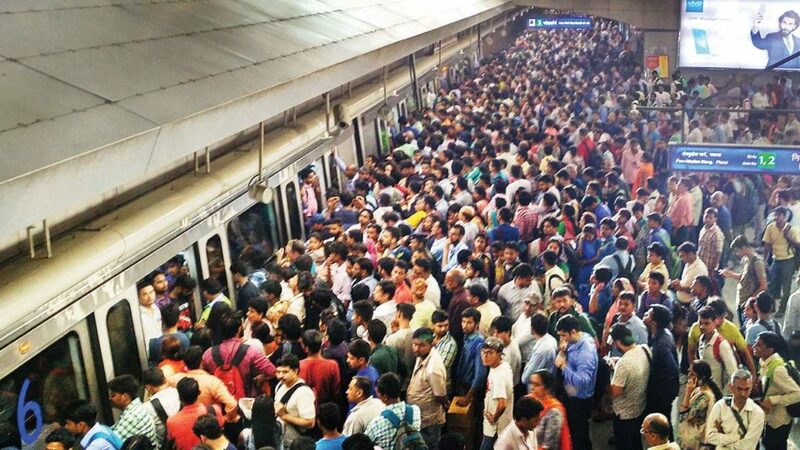 The metro has injected a sense of a new kind of freedom, the ‘freedom to travel’ without hassles in the true sense. The school and college students also use the metro for commuting between home and school or college. The youngsters have caught on to the way the world prefers to travel. It is no rocket science to understand that if majority of people took to metro as their preferred mode of transport dumping their personal vehicles, it would have a great positive impact on the environment. Our precious environment, particularly the air that we breathe will get a chance to restore and cleanse itself of all the pollutants that have got accumulated over the years. The major bye product of any combustion process is the carbon dioxide gas. The molecule of this gas has a higher tendency to trap heat than other constituents of the atmosphere thus increasing the temperature of the atmosphere itself. This is what we call global warming. Discouraging the use of personal vehicles would help in curtailing burning of fossil fuels and thus reduce carbon emission and containing the scourge of global warming. Halting and impeding release and build-up of carbon dioxide gas into the atmosphere would strengthen our fight towards ending the scourge of the century. Going by the figures quoted by the metro officials, approximately 2.2 to 2.4 million people using the services daily paints a very rosy picture, for these many people did not use their personal vehicles or other modes of transport that run on fossil fuels. From an individual’s point of view, reduced daily consumption of petrol or diesel will translate to increased monthly savings and an opportunity to spend the saved amount on other useful activities for the benefit of the family like entertainment, health, education and saving for contingencies. For the country, an overall reduced consumption of petrol and diesel will slash the import bill and controlling adverse ‘balance of payment’ situation. The money so saved by the country can be utilised for welfare of citizens and starting other beneficial schemes. It was a lazy Saturday afternoon and I was out by the metro to meet a few friends from the yester years of college in Gurgaon with cyberhub as our preferred rendezvous. Cyberhub boasts of a number of world class options on food and drinks. 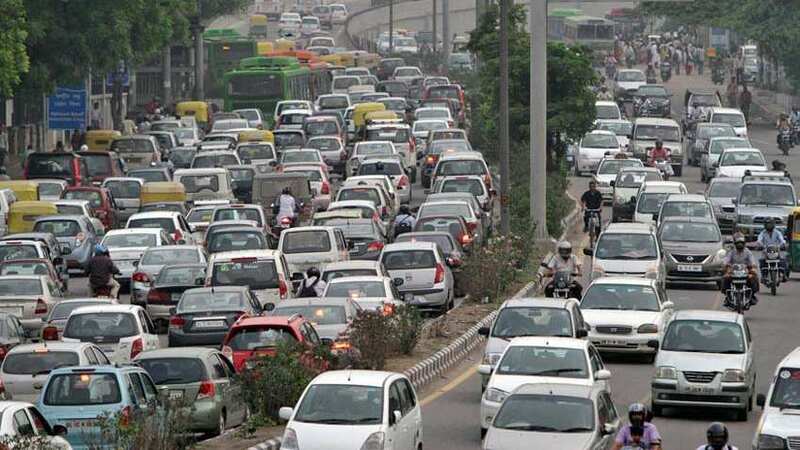 On an average working day commuting between my residence and Gurgaon by my personal mode of transport like a car takes approximately 1 hour 30 minutes which translates to 3 hours of commuting time on a daily basis for a return trip. These estimates are for an average working day but if there is adverse weather like rains or an accident somewhere along the stretch or a VIP movement, the travel times could extend way beyond the average daily time. Almost all these three hours are spent listening to the music on FM and relying on the services of the radio jockeys to keep one wide awake or attending an occasional phone. This time, I decide to use the metro service for the sake of drawing a comparison between the two options. At first, I was quite reluctant to forgo my personal comfort as well as private space that my own vehicle provided. To renounce these items even for a single day required great courage and seemed like an uphill task. Luckily, today I did not have bulky office stuff flung over my shoulder to drag around which proved to be quite convenient. I completed the entire journey in approximately 1 hour and that too in a relaxed manner so when I reached my destination, I wasn’t tired at all. I realised that by the metro, one can predict the time of travel and the prediction is quite within an error of 5%. However, while using the road, none can predict the time of travel as there can be inordinate and unpredictable traffic jams that make all estimates go haywire by a great degree. While inside the metro, I see a family of seven board the metro train. Finding the train relatively empty, they ensconce themselves merrily while I occupy a seat nearby. The children start playing on the floor of the metro train under the watchful eyes of their parents while the elders indulge in hearty family talks. They talk about a marriage function they attended recently and exchange talks about how elaborate and enthralling it was. After a while, I overhear them making travel plans for their forthcoming summer holidays. The family is at ease as if they were sitting in the comfort of their home and indulging in their usual chit chat. I just cannot refrain from thinking that the Delhi metro train has truly become the lifeline of the city and cannot think of a day when I would have to do without it.